These Terms of Service constitute the agreement ("Agreement") between BoltonSmith ("we," "us" or "BoltonSmith") and the user ("you", "user", "customer") of BoltonSmith's communications services and any related products or services ("Service"). This Agreement governs both the Service and any devices, such as phones, routers or any other IP connection device ("Device" or "Equipment") used in conjunction with the Service and it applies to each BoltonSmith account. If you purchased Equipment from a retail store, or a provider other than BoltonSmith ("Retail Provider"), you are a "Retail Customer" for purposes of this Agreement. BoltonSmith offers a form of 911 service (911 Dialing) that is similar to traditional 911 service but has some important differences and limitations when compared with enhanced 911 service (E911) available in most locations in conjunction with traditional telephone service. With both traditional 911 and E911 service, your call is sent directly to the nearest emergency response centre. In addition, with E911 service, your call back number and address are visible to the emergency response centre call-taker. With BoltonSmith's 911 service, your call is sent to a national emergency call centre. The call centre operator will request or confirm your location information and then transfer your 911 call to the emergency response centre nearest your location. You should be prepared to provide or confirm your address and call-back number with the operator. Do not hang up unless told directly to do so and if disconnected, you should dial 911 again. You should ensure your location information, when registered with BoltonSmith, is kept current at all times. In case you are not able to speak during the 911 call, the call taker would dispatch emergency response vehicles to your last registered address. You need to update your 911 Dialing information if you move your device to a different location and/or if you add a new service to your account. Your 911 Dialing service is activated when you subscribe to BoltonSmith service. 911 Dialing service will not function in the event of a power or broadband outage or if your broadband, ISP or BoltonSmith service is suspended or disconnected. Following a power failure or disruption, you may need to reset or reconfigure your Device prior to utilizing the service, including 911 Dialing. 1.4 Re-Registration Required if You Change Your Number or Add or Port New Numbers. You must successfully register your location of use for each changed, newly added or newly ported number in order for 911 Dialing to function as intended. 1.5 Network Congestion; Reduced Speed for Routing or Answering 911 Dialing Calls. 1.6 Conveying Limitations to other household residents and guests. You should inform any household residents, guests and other persons who may be present at the physical location where you utilize the BoltonSmith service, of the important differences in and limitations of VoIP 911 Dialing service as compared with E911 service, as set out above. 1.7 Disclaimer of Liability and Indemnification. We do not have any control over whether, or the manner in which, calls using our 911 Dialing service are answered or addressed by any local emergency response centre. We disclaim all responsibility for the conduct of local emergency response centres and the national emergency calling centre. We rely on third parties to assist us in routing 911 Dialing calls to local emergency response centres and to a national emergency calling centre. We disclaim any and all liability or responsibility in the event such third party data used to route calls is incorrect or yields an erroneous result. Neither BoltonSmith nor its officers or employees may be held liable for any claim, damage, or loss, and you hereby waive any and all such claims or causes of action, arising from or relating to our 911 Dialing service unless such claims or causes of action arose from our gross negligence, recklessness or willful misconduct. You shall defend, indemnify, and hold harmless BoltonSmith, its officers, directors, employees, and agents and any other service provider who furnishes services to you in connection with the Service, from any and all claims, losses, damages, fines, penalties, costs and expenses (including, without limitation, legal fees and expenses) by, or on behalf of, you or any third party relating to the absence, failure or outage of the Service, including 911 Dialing, incorrectly routed 911 Dialing calls, and/or the inability of any user of the Service to be able to use 911 Dialing or access emergency service personnel. If You subscribe for Service(s) on a monthly basis, You may cancel Your Service(s) at any time, provided You give BoltonSmith Inc. thirty (30) days prior written notice. If You subscribe for Service(s) on a monthly basis but fail to give BoltonSmith Inc. thirty (30) days prior written notice for Service cancellation, You will be billed a Plan Termination Charge equivalent to one installment of the monthly recurring plan fee appearing on Your invoice as well as a Network Termination Charge equivalent to the monthly network charge appearing on Your invoice. If You subscribe for Service(s) for a specific term, you may cancel your Service(s) before the end of the term, provided that you give BoltonSmith Inc. thirty (30) days prior written notice and provided that you pay Boltonsmith Inc. a cancellation fee as set out in your Service Agreement. If you accept an equipment upgrade or other promotional or plan benefit, such as a free month of Service, free installation, a rebate or other incentive, there may be a commitment associated with the benefit you accepted ("Commitment"). To the extent there is a Commitment, it begins on the date you activate the new equipment or accept the promotion or benefit. The Commitment period will be disclosed as part of the promotion or plan. If you disconnect service prior to the end of the Commitment period, you agree to pay BoltonSmith a recovery fee in an amount equal to the difference between the price you paid and the regular price of the good, service or other benefit you received at the time the Commitment period began. Recovery fees are cumulative and in addition to any other charges or fees you may owe BoltonSmith, including any disconnection fees. 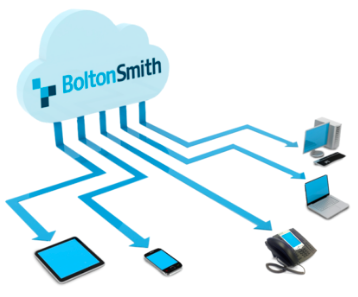 If you subscribe to BoltonSmith's residential services, the Service and the Device are provided to you solely for residential use. You shall not resell or transfer the Service or the Device to another party without our prior written consent. You are prohibited from using the Service or the Device for auto-dialing, continuous or extensive call forwarding, telemarketing (including charitable or political solicitation or polling), fax or voicemail broadcasting or fax or voicemail blasting. We reserve the right to immediately disconnect or modify your Service if we determine, in our sole and absolute discretion, that your use of the Service or the Device is, or at any time was, inconsistent with normal residential usage patterns. In addition, you will be required to pay our higher rates for commercial service for all periods in which your use of the Service or the Device was inconsistent with normal residential use. If you subscribe to BoltonSmith's Essential or Essential Plus Small Business services, the Service and Device are provided to you as a small business user. You shall not resell or transfer the Service or the Device to another party without our prior written consent. You are prohibited from using the Service or the Device for auto-dialing, continuous or extensive call forwarding, telemarketing (including, without limitation, charitable or political solicitation or polling), fax or voicemail broadcasting or fax or voicemail blasting. We reserve the right to immediately disconnect or modify your Service if we determine, in our sole and absolute discretion, that your use of the Service or the Device is, or at any time was, inconsistent with normal small business usage patterns, that you have at any time used the Service or the Device for any of the activities mentioned above or similar activities. You shall use the Service and the Device only for lawful purposes. You shall not use the Service or Device in any way that is improper or inappropriate, including in a manner that is threatening, abusive, harassing, defamatory, libelous, deceptive, fraudulent, invasive of another's privacy, or any similar behaviour. In addition, you shall not use the Service or the Device to impersonate another person; send bulk unsolicited messages; use robots, data mining techniques or other automated devices or programs to catalogue, download, store or otherwise reproduce or distribute information from the Service or use any such automated means to manipulate the Service; use the Service to violate any law, rule or regulation; violate any third party's intellectual property or personal rights; or exceed your permitted access to the Service. Subject to applicable law, we may, but are under no obligation to, monitor usage of the Service for violations of this Agreement. We may remove or block any or all communications if we suspect a violation of this Agreement or if we deem it necessary in order to protect the Service, or BoltonSmith, its directors, officers, agents and employees from harm. We reserve the right to immediately disconnect your Service without notice, if, in our sole and absolute discretion, we determine that you have used the Service or the Device for an unlawful purpose or in ways mentioned above. In the event of such disconnection you will be responsible for all fees and charges due under this Agreement, including those referred to in Section 2.1, plus a disconnection fee, if applicable, all of which will be immediately due and payable. If we believe that you have used the Service or the Device for an unlawful purpose, we may forward the relevant communication and other information, including your identity, to the appropriate authorities for investigation and prosecution. You hereby consent to our forwarding of any such communications and information to these authorities. In addition, BoltonSmith will provide customer and call detail information in response to lawful government requests, subpoenas, court orders and to protect its rights and property, and in response to law enforcement requests where the failure to disclose the information may lead to imminent harm to the customer or others. Furthermore, BoltonSmith reserves all of its rights at law and equity to proceed against anyone who uses the Services illegally or improperly. The Service and Device and any firmware or software used to provide the Service or provided to you in conjunction with providing the Service, or embedded in the Device, and all Services, information, documents and materials on our websites are protected by trademark, copyright or other intellectual property laws and international treaty provisions. All of our websites, corporate names, service marks, trademarks, trade names, logos and domain names (collectively "marks") are and will at all times remain our exclusive property. Nothing in this Agreement grants you the right or license to use any of our marks. You (i) have not been granted any license to use the firmware or software used to provide the Service or provided to you in conjunction with providing the Service, or embedded in the Device, other than a nontransferable, revocable license to use such firmware or software in object code form (without making any modification thereto) strictly in accordance with the terms and conditions of this Agreement, and (ii) expressly agree that the Device is exclusively for use in connection with the Service and that we will not provide any passwords, codes or other information or assistance that would enable you to use the Device for any other purpose. We reserve the right to prohibit the use of any interface device that we have not provided to you. You hereby represent and warrant that you possess all required rights, including software and/or firmware licenses, to use any interface device that we have not provided to you. 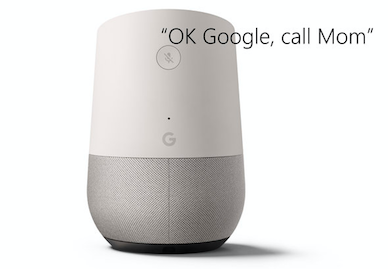 In addition, you shall indemnify and hold us harmless against any and all liability arising out of your use of such interface device with the Service. You shall not reverse compile, disassemble or reverse engineer or otherwise attempt to derive the source code from the binary code of the firmware or software. You shall not change the electronic serial number or equipment identifier of the Device or perform a factory reset of the Device without our prior written consent. We reserve the right to disconnect your Service if we believe, in our sole and absolute discretion, that you have tampered with the Device. In the event of such disconnection, you will remain responsible for all charges through the end of the current Service Term, including unbilled charges, plus a disconnection fee, if applicable, all of which will immediately be due and payable. You shall not attempt to hack or otherwise disrupt the Service or make any use of the Service that is inconsistent with its intended purpose. You shall not use or obtain the Service in any manner that avoids BoltonSmith policies and procedures including in an illegal or improper manner. You shall notify us immediately, in writing or by calling our customer support number, if the Device is stolen or if you become aware at any time that your Service is being stolen, fraudulently used or otherwise being used in an unauthorized manner. When you call or write, you must provide your account number and a detailed description of the circumstances of the Device theft, fraudulent use or unauthorized use of Service. Failure to do so in a timely manner may result in the disconnection of your Service and additional charges to you. Until such time as we receive notice of the theft, fraudulent use or unauthorized use, you will be liable for all use of the Service using a Device stolen from you and any and all stolen, fraudulent or unauthorized use of the Service whether or not it involves a stolen Device. BoltonSmith reserves all of its rights at law and equity to proceed against anyone who uses the Services or Device illegally or improperly. A Retail Customer may only return the Device to the Retail Provider. All returns will be subject to the return policy of such Retail Provider. We will not accept any Device returned to us from a Retail Customer. Any issue with functionality of the Device will be addressed and replacements/repairs made by BoltonSmith, provided we are notified within 30 days of the commencement of the Service. We do not process the return of any Device during or at the end of your Service. You have purchased this device and may resell it or purchase a Retail Device if you prefer. You may be able to take, or "port," your current number to another service provider. If you ask your new service provider to port a number from us, and we receive your request from the new service provider, we will terminate our service for that number shortly after notification to BoltonSmith by the relevant carrier(s) of the successful completion of the port. Once your service is terminated and the port is completed, you will remain responsible for all charges and fees through the end of that billing cycle, including any cancellation fees. If a port is unsuccessful for any reason, your service and your agreement with us will not terminate, you will remain a BoltonSmith customer, and you will continue to be responsible for all charges and fees associated with your BoltonSmith service. If you request your new service provider to port a number from us and you have multiple numbers assigned to your account and/or additional services on your account, you are required to inform us of your intent to terminate all the services on your account, prior to the successful completion of the requested port or we will select the most appropriate billing plan for any remaining numbers and/or services on your BoltonSmith account, and you will continue to be responsible for all the charges and fees associated with the remaining services on your BoltonSmith account. Once the port of the requested number is completed, you will remain responsible for all charges and fees through the end of that billing cycle, including any cancellation fees applicable to the ported number. The Service is not a traditional telecommunications service and we provide it on a best efforts basis. Things beyond our control may affect the Service, such as power outages, fluctuations in the Internet, your underlying ISP or broadband service. Other things may affect Service, such as maintenance. BoltonSmith will act in good faith with a view to minimizing disruptions to your use of and access to Service. Important distinctions exist between a traditional telecommunications service and our Service, and our Service is subject to different regulatory treatment than a traditional telecommunications service. This treatment may limit or otherwise affect your rights of redress before regulatory agencies. 2.12 Ownership and Risk of Loss. You will own the Device and bear all risk of loss of, theft of, casualty to or damage to the Device, from the time it is shipped to you. 2.13 No 0+ or Operator Assisted Calling; May Not Support x11/8xx Calling. 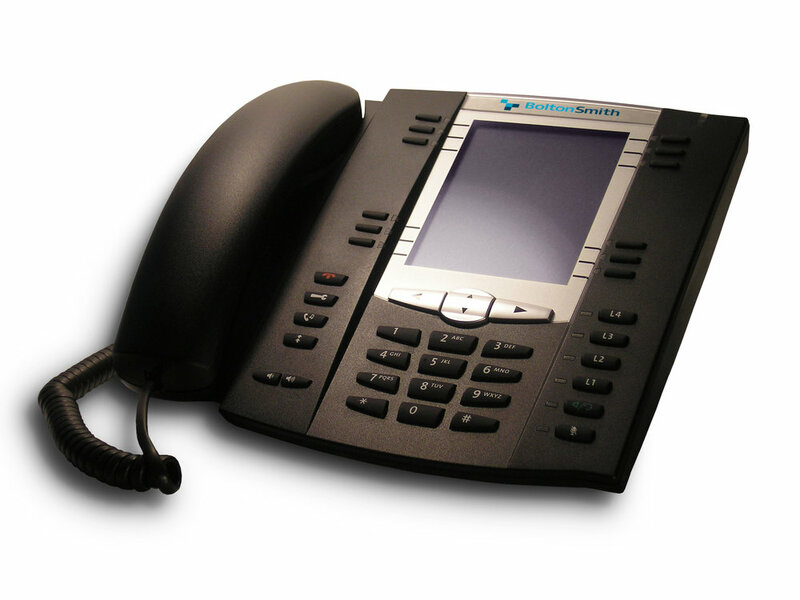 The phone numbers you obtain from us will not be listed in any telephone directories. Phone numbers transferred from your local phone company may, however, be listed. As a result, someone with your phone number may not be able to utilize a reverse directory to look up your address. You have no property right in any phone number assigned to or used by you. We shall be entitled to change any such number where we determine, in our sole discretion, that such a change is necessary. We shall give you reasonable advance written notice of such a change, except in cases of emergency, where oral notice shall be given. The Service may not be compatible with home security systems. You may be required to maintain a telephone connection through your local exchange carrier in order to use any alarm monitoring functions for any security system installed in your home or business. You are responsible for contacting the alarm monitoring company to test the compatibility of any security system with the Service. (b) Certain Broadband, Cable Modem and Other Services. You acknowledge that the Service presently is not compatible with AOL cable broadband service and there may be other services with which the Service may be determined to be incompatible. You further acknowledge that some providers of broadband service may provide modems that prevent the transmission of communications using the Service. We do not warrant that the Services will be compatible with all broadband services and expressly disclaim any express or implied warranties or conditions regarding the compatibility of the Service with any particular broadband service. We offer varying types and levels of customer service depending upon a number of factors, including the Service you are using and the problems you are experiencing. For more information on our customer service options, please review the "Contact Us" section of our website. We assume no obligation to provide support services for any third party products or services, or problems with the Service caused by third party products or services. Unless you have entered into a separate services agreement with us, we may change the customer service options at any time. Installation fees; Service fees; equipment purchases; taxes; and disconnection fees. The amount of such fees and charges shall be indicated on our quotations and/or invoices and may change from time to time. Installation Fee - This fee covers charges for setting up your account and installing our system on-site. Service Fee - This is the basic charge associated with your service. This fee includes the charges defined by your plan, the features associated with your plan and basic account services. Equipment Purchases - You will pay for equipment associated with your BoltonSmith service with your payment method. Taxes - BoltonSmith is required to bill and collect local, provincial and federal taxes imposed on BoltonSmith customers by the various taxing authorities. BoltonSmith passes all taxes it collects on to the appropriate taxing authority. (a) Payment.Your subscription to the Service authorizes us to collect from your payment method. This authorization will remain valid until thirty (30) days after we receive written notice from you terminating our authority to charge your payment method, whereupon we will charge you for the disconnection fee, if applicable, and any other outstanding charges and disconnect your Service. We may disconnect your Service at any time in our sole and absolute discretion if any charge to your payment method is declined or reversed, your payment method expires and you have not provided us with a valid replacement payment method or in case of any other non-payment of account charges. (b) Collection.If your Service is disconnected, you will remain fully liable to us for all charges pursuant to this Agreement and any and all costs we incur to collect such amounts, including, without limitation, collection costs and legal fees and expenses. 3.4 Disconnection; Discontinuance of Service. We reserve the right to suspend or discontinue the Service generally, or to disconnect your Service, at any time in our sole and absolute discretion. If we discontinue the Service generally, or disconnect your Service without a stated reason, you will only be responsible for charges accrued through the date of disconnection, including a pro-rated portion of the final Service Term charges. If your Service is disconnected on account of your breach of any provision of this Agreement, you will be responsible for all charges through the end of the current Service Term, including unbilled charges, plus the disconnection fee, if applicable, all of which will immediately be due and payable. BoltonSmith will pursue collection for unpaid amounts on disconnected accounts and may report to and exchange credit and personal information with any credit/consumer reporting agency and financial institution relating to this Agreement. 3.5 Taxes. Federal, provincial, municipal, local or other governments may assess taxes, surcharges and/or fees on your use of BoltonSmith service. These charges are based on the rates applicable to the address you provided to us. You are responsible for all applicable federal, provincial, municipal, local or other governmental sales, use, excise, value-added, personal property, public utility, goods and services, harmonized or other taxes, fees or charges now in force or enacted in the future, that arise from or as a result of your subscription or use or payment for the Service or a Device. Such amounts are in addition to payment for the Service or Devices and will be billed to your payment method as set forth in this Agreement. If you are exempt from payment of such taxes, you must provide us with an original certificate that satisfies applicable legal requirements attesting to tax-exempt status. Tax exemption will only apply from and after the date we receive such certificate. IN NO EVENT WILL BOLTONSMITH, ITS OFFICERS, DIRECTORS, EMPLOYEES, OR AGENTS OR ANY OTHER SERVICE PROVIDER WHO FURNISHES SERVICES TO YOU IN CONNECTION WITH THIS AGREEMENT OR THE SERVICE BE LIABLE FOR ANY DIRECT, INCIDENTAL, INDIRECT, SPECIAL, PUNITIVE, EXEMPLARY, COMPENSATORY OR CONSEQUENTIAL DAMAGES, OR FOR ANY OTHER DAMAGES, INCLUDING BUT NOT LIMITED TO PERSONAL INJURY, WRONGFUL DEATH, PROPERTY DAMAGE, LOSS OF DATA, LOSS OF REVENUE OR PROFITS, OR DAMAGES ARISING OUT OF OR IN CONNECTION WITH THE USE OR INABILITY TO USE THE SERVICE, INCLUDING INABILITY TO ACCESS EMERGENCY SERVICE PERSONNEL THROUGH THE 911 DIALING SERVICE OR TO OBTAIN EMERGENCY HELP. THE LIMITATIONS SET FORTH HEREIN APPLY TO CLAIMS FOUNDED IN BREACH OF CONTRACT, BREACH OF WARRANTY OR CONDITION, PRODUCT LIABILITY, TORT (INCLUDING NEGLIGENCE), INTELLECTUAL PROPERTY INFRINGEMENT, STRICT LIABILITY, FUNDAMENTAL BREACH, BREACH OF A FUNDAMENTAL TERM AND ANY AND ALL OTHER THEORIES OF LIABILITY AND APPLY WHETHER OR NOT WE WERE INFORMED OF THE LIKELIHOOD OF ANY PARTICULAR TYPE OF DAMAGES. (a) Indemnification. You shall defend, indemnify, and hold harmless BoltonSmith, its officers, directors, employees, and agents and any other service provider who furnishes services to you in connection with this Agreement or the Service, from any and all claims, losses, damages, fines, penalties, costs and expenses (including, without limitation, legal fees and expenses) by, or on behalf of, you or any third party or user of the Service, relating to this Agreement or the Services, including, without limitation, 911 Dialing, or the Device. To the extent permitted by applicable law, WE MAKE NO WARRANTIES OR CONDITIONS, EXPRESS OR IMPLIED, INCLUDING BUT NOT LIMITED TO, ANY IMPLIED WARRANTIES OR CONDITIONS OF MERCHANTABLE QUALITY, REASONABLY ACCEPTABLE QUALITY, FITNESS OF THE SERVICE OR DEVICE FOR A PARTICULAR PURPOSE, TITLE OR NON-INFRINGEMENT OR ANY WARRANTY OR CONDITION ARISING BY USAGE OF TRADE, COURSE OF DEALING OR COURSE OF PERFORMANCE OR ANY WARRANTY OR CONDITION THAT THE SERVICE WILL MEET CUSTOMER'S REQUIREMENTS. WITHOUT LIMITING THE FOREGOING, WE PROVIDE NO WARRANTY OR CONDITION THAT THE SERVICE OR DEVICE WILL BE WITHOUT FAILURE, DELAY, INTERRUPTION, ERROR, DEGRADATION OF VOICE QUALITY OR LOSS OF CONTENT, DATA OR INFORMATION. NEITHER BOLTONSMITH NOR ITS OFFICERS, DIRECTORS, EMPLOYEES, OR AGENTS, OR ANY OTHER SERVICE PROVIDER OR VENDOR WHO FURNISHES SERVICES DEVICES, OR PRODUCTS TO CUSTOMER IN CONNECTION WITH THIS AGREEMENT OR THE SERVICE, WILL BE LIABLE FOR UNAUTHORIZED ACCESS TO OUR OR YOUR TRANSMISSION FACILITIES OR PREMISES EQUIPMENT OR FOR UNAUTHORIZED ACCESS TO, OR ALTERATION, THEFT OR DESTRUCTION OF, CUSTOMER'S DATA FILES, PROGRAMS, PROCEDURES OR INFORMATION THROUGH ACCIDENT, FRAUDULENT MEANS OR DEVICES OR ANY OTHER METHOD, REGARDLESS OF WHETHER SUCH DAMAGE OCCURS AS A RESULT OF BOLTONSMITH'S OR ITS SERVICE PROVIDER'S OR VENDORS' NEGLIGENCE. STATEMENTS AND DESCRIPTIONS CONCERNING THE SERVICE OR DEVICE, IF ANY, BY BOLTONSMITH OR BOLTONSMITH'S AGENTS OR INSTALLERS ARE INFORMATIONAL AND ARE NOT GIVEN AS A WARRANTY OR CONDITION OF ANY KIND. 4.5 Device Warranties (Applies only to Residential and Business customers). (b) No Warranty. IF A LIMITED WARRANTY DID NOT COME WITH YOUR DEVICE, TO THE EXTENT PERMITTED BY APPLICABLE LAW, YOU ARE ACCEPTING THE DEVICE "AS IS". YOUR DEVICE IS NOT ELIGIBLE FOR REPLACEMENT, REPAIR OR REFUND AFTER 30 DAYS. (c) Retail Customer Limited Warranty. Retail customers must refer to any warranty issued by the Retail Provider. BoltonSmith is not held responsible for any damage, repairs or replacement of any Retail Device. Should a Retail customer wish to replace a Retail Device with a BoltonSmith Device, they must purchase this new at no discount. You will be liable for any and all liability that may arise out of the content transmitted by or to you or any person, whether authorized or unauthorized, using your Service or Device (each such person, a "User"). You shall ensure that your and your User's use of the Service and content comply at all times with all applicable laws, regulations and written and electronic instructions for use. We reserve the right to disconnect or suspend your Services and remove your or your Users' content from the Service, if we determine, in our sole and absolute discretion, that such use or content does not conform with the requirements set forth in this Agreement or interferes with our ability to provide Services to you or others. Our action or inaction under this Section will not constitute any review or approval of your or Users' use or content. The Agreement and the relationship between you and us is governed by the laws of the Province of Ontario and the federal laws of Canada applicable therein without regard to its conflict of law provisions. To the extent court action is initiated to enforce an arbitration award or for any other reason consistent with Section 5.2, you shall submit to the personal and exclusive jurisdiction of the courts located within the Province of Ontario and waive any objection as to venue or inconvenient forum. Except to the extent contrary to applicable law, any dispute or claim between you, any member of your household or any guest or employee of you and us arising out of or relating to the Service or Device will be resolved by arbitration before a single arbitrator administered by a Canadian arbitration organization of our choosing. The arbitration shall take place in Toronto, Ontario and shall be conducted in English. The arbitrator's decision will follow the plain meaning of the relevant documents, and will be final and binding. Without limiting the foregoing, the parties agree that no arbitrator has the authority to: (i) award relief in excess of what this Agreement provides; or (ii) award punitive or exemplary damages. Judgment on the award rendered by the arbitrators may be entered in any court having jurisdiction thereof. ANY CLAIM OR CAUSE OF ACTION ARISING OUT OF OR RELATED TO THE SERVICE MUST BE FILED WITHIN ONE (1) YEAR AFTER SUCH CLAIM OR CAUSE OF ACTION AROSE OR BE FOREVER BARRED, except to the extent such a limitation is prohibited by applicable law. All claims shall be arbitrated individually. Except to the extent contrary to applicable law, you shall not bring, or join any class action of any kind in court or in arbitration or seek to consolidate or bring previously consolidated claims in arbitration. THIS ARBITRATION PROVISION CONSTITUTES A WAIVER OF ANY RIGHT TO A JURY TRIAL AND AN AGREEMENT TO BE SUBJECT TO JURISDICTION IN, AND CONDUCT ARBITRAL PROCEEDINGS IN, ONTARIO. This Agreement, including any future modifications as may occur within the terms of the Agreement, and the rates for Services found on our website constitute the entire agreement between you and BoltonSmith and govern the use of the Service by you, members of your household, guests and employees. This Agreement supersedes any prior agreements between you and BoltonSmith and any and all prior or contemporaneous statements, understandings, writings, commitments, or representations concerning its subject matter. The parties confirm that it is their express wish that this agreement, as well as any other documents relating to this agreement, including notices, schedules and authorizations, have been and shall be drawn up in the English language only. Les parties aux présentes confirment leur volonté expresse que cette convention, de même que tous les documents s'y rattachant, y compris tous avis, annexes et autorisations s'y rattachant, soient rédigés en langue anglaise seulement. We may change the terms and conditions of the Service and this Agreement, as well as amounts charged under this Agreement, from time to time. Notices will be considered given and effective on the date posted on www.boltonsmith.com, or as otherwise may be required by applicable law. Subject to applicable law, such changes will become binding on you on the date they are posted to our website and no further notice by us is required upon your continued use of the Service. The Agreement as and when posted or otherwise amended in accordance with applicable law, supersedes all previously agreed to electronic and written terms of service, including, without limitation, any terms included with the packaging of the Device and also supersedes any written terms provided to Retail Customers in connection with retail distribution, including, without limitation, any written terms enclosed within the packaging of the Device. If this Agreement is amended and you do not wish to accept the amendment, you may terminate the Agreement as provided in Section 2.1.